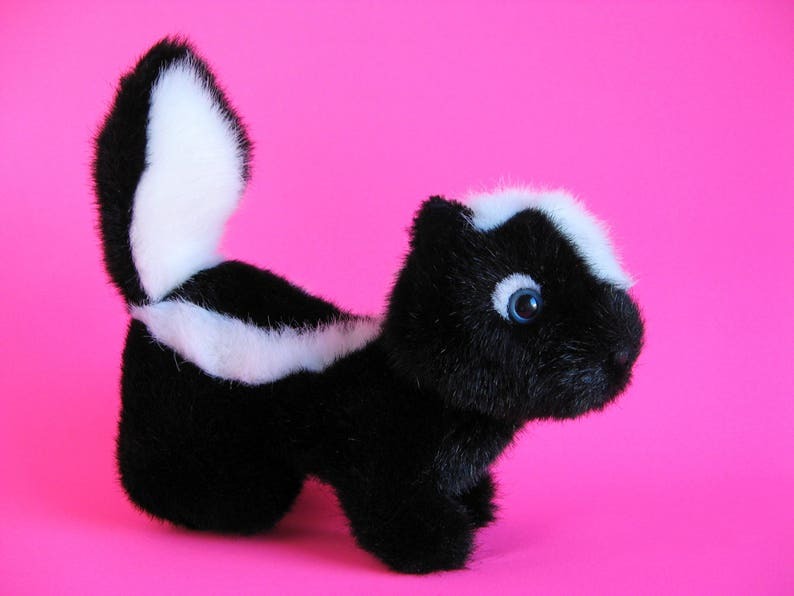 Super sweet vintage Skunk stuffed animal. Pretty blue eyes. Soft black & white faux fur. Made by GUND in 1987.